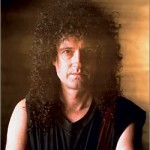 Brian May, CBE, ARCS, FRAS is a founding member of Queen, a world-renowned guitarist, songwriter, producer and performer. Brian was forced to abandon his PhD studies on interplanetary dust at Imperial College, London when Queen’s popularity first exploded, but has always retained his keen interest in astronomy, and is a regular contributor to The Sky at Night. the Mercury Phoenix Trust and the British Bone Marrow Donor Association. Brian can also be addressed as Dr May since being awarded an honorary degree of Doctor of Science by the University of Hertfordshire. 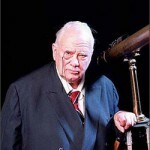 Sir Patrick Moore, CBE, FRS, FRAS, has made a lifetime study of the Moon, the discoverer of many of its features, especially on the hard to observe limbs, and is one of the noted interpreters of modern astronomy. His monthly BBC TV show The Sky at Night was launched in the same year as Sputnik I, 1957, and Patrick has become a household name, commentating upon space exploration and astronomy ever since. He has made countless appearances on TV and radio, has written hundreds of books and articles, performed in concert on the xylophone, and composed music for brass bands and piano, as well as a number of full-length operas. Patrick has lectured for many years to packed venues the world over. He has inspired several generations of professional and amateur astronomers to embark on a lifetime of enthusiastic participation in this fascinating subject. Brian May and Chris Lintott are two of his close colleagues. An accomplished musician and composer, he shares his home with his two beloved cats, Jeannie and Ptolemy, who live a life of unashamed luxury. 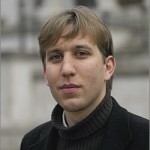 He is now pursuing his studies of star formation from the early Universe to the Milky Way at the University of Oxford. Away from academia, his interests are theatrical, whether writing for the Royal Opera’s Ring Cycle programmes to producing Patrick’s comic opera, Galileo, which bemused audiences from Cambridge to Chichester and beyond.